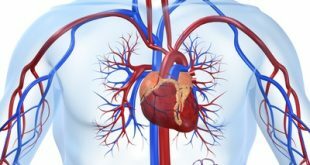 What Is The Relationship Between Hypertension And High Cholesterol? A Physicians’ Health Study showed that higher levels of plasma total cholesterol (TC) and non-HDL-cholesterol (non-HDL-C) are independently associated with a subsequent increased risk of incident hypertension in apparently healthy middle aged and older men. This is also true for Total cholesterol / high density lipoprotein-cholesterol ratio (TC/HDL-C ratio) . 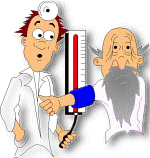 Elevated lipid levels appear to predate the onset of hypertension by years. However, higher levels of HDL-C are associated with a decreased risk of incident hypertension. 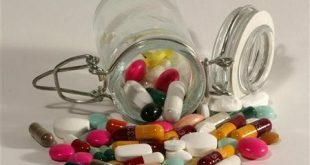 The biological mechanisms by which lipids may play a role in the development of hypertension remain poorly understood. 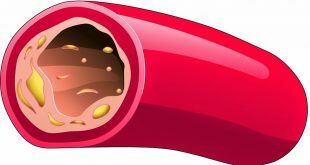 Atherosclerosis, or hardening of the arteries, is a condition in which plaque builds up inside the arteries. Plaque is made of cholesterol, fatty substances, cellular waste products, calcium and fibrin (a clotting material in the blood). 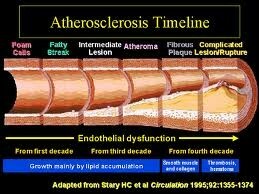 Atherogenic lipid abnormalities (atherosclerosis) clearly cause endothelial dysfunction. A dysfunctional endothelium cannot respond to changes in intravascular conditions to constrict and dilate as needed. This vasodysregulation could lead to an inability or difficulty in vasodilatation to appropriate stimuli and eventually to increased resting BP. Because atherosclerosis can be a diffuse process, it is possible that hypertension is a manifestation of a diffuse atherosclerotic process in large conduit arteries, as well as smaller resistance vessels. Lipid abnormalities and insulin resistance have been associated with sympathetic hyperfunction, which may also play a role in the development of hypertension. Hypertension, which often occurs after other components of the metabolic syndrome, may instead be a late-stage manifestation, arising secondary to derangement of other components of the metabolic syndrome, such as dyslipidemia.